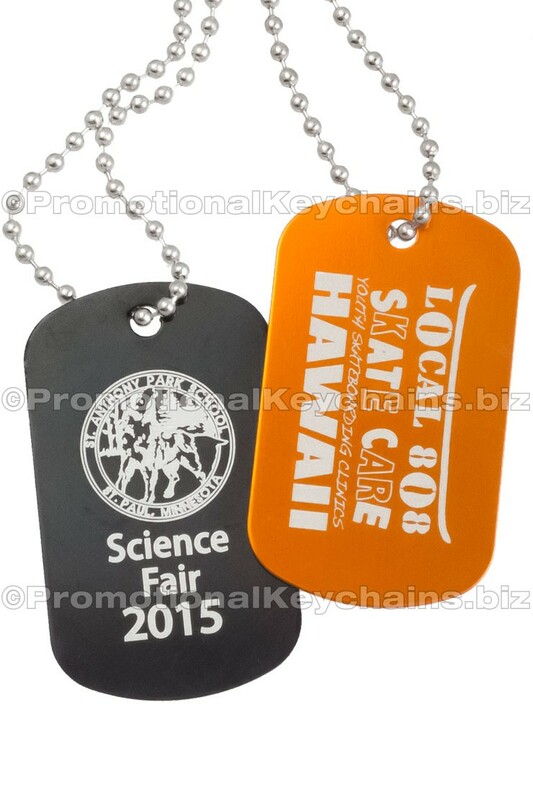 Our engraved aluminum dog tags make a great looking, and awesomely inexpensive choice! 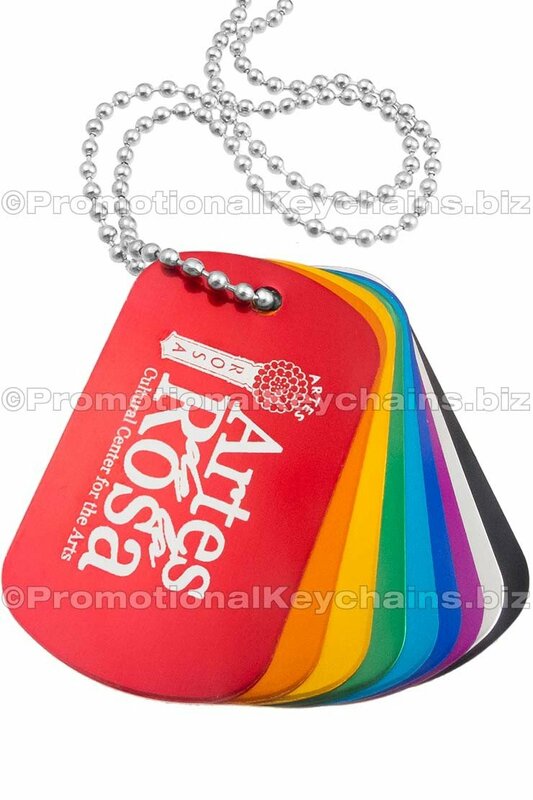 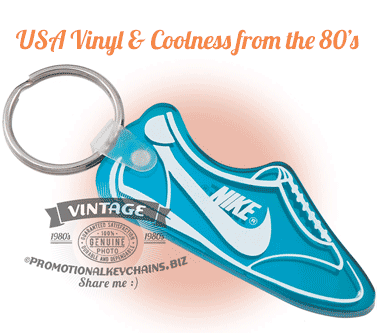 They are solid aluminum, and anodized so they have a sleek, smooth metallic surface in vibrant colors. 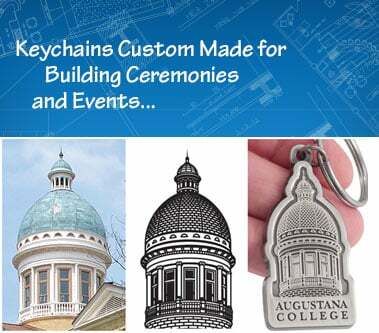 Combined with our high end lasers, they deliver incredibly sharp engravings of your logo, mascot, text or graphics. 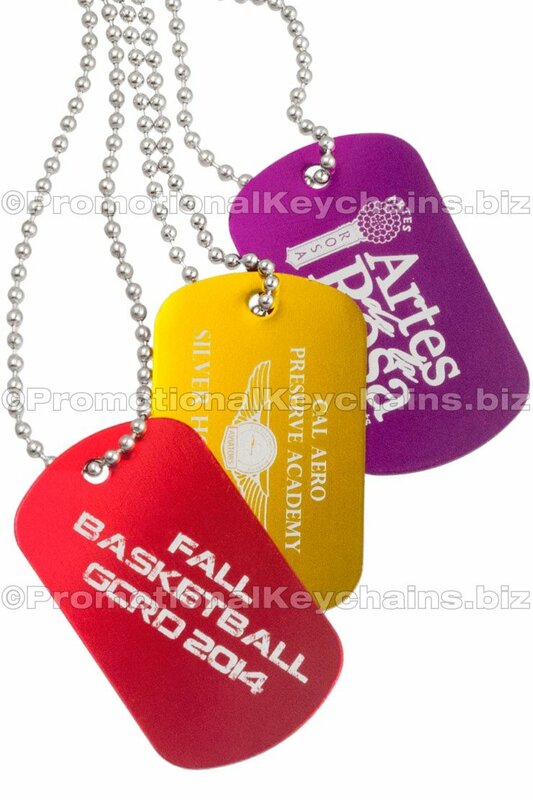 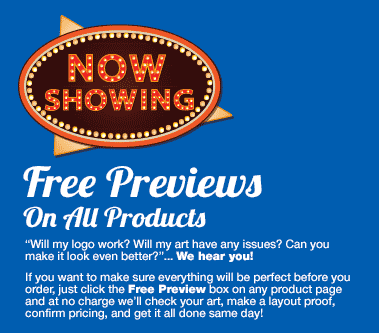 A great option for schools, businesses, for event promotion and more, we can engrave on one side or both sides. 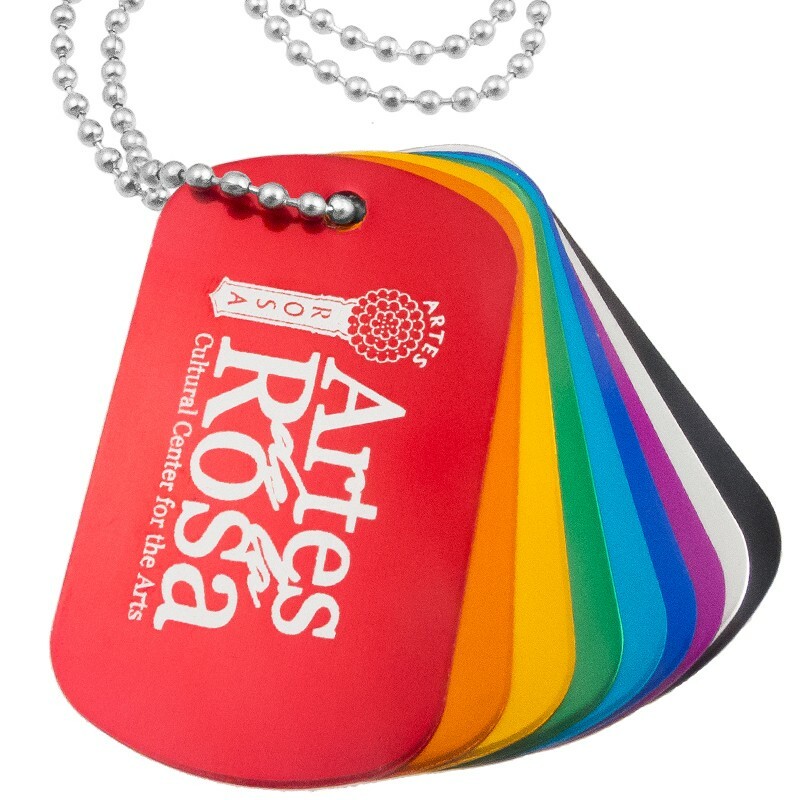 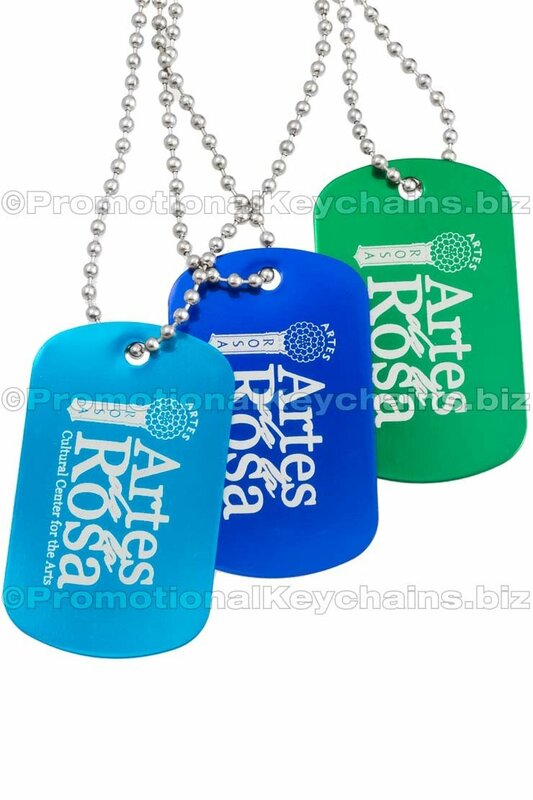 They come is 10 vibrant colors, and the engraving are silvery-white against the colors of the tags. 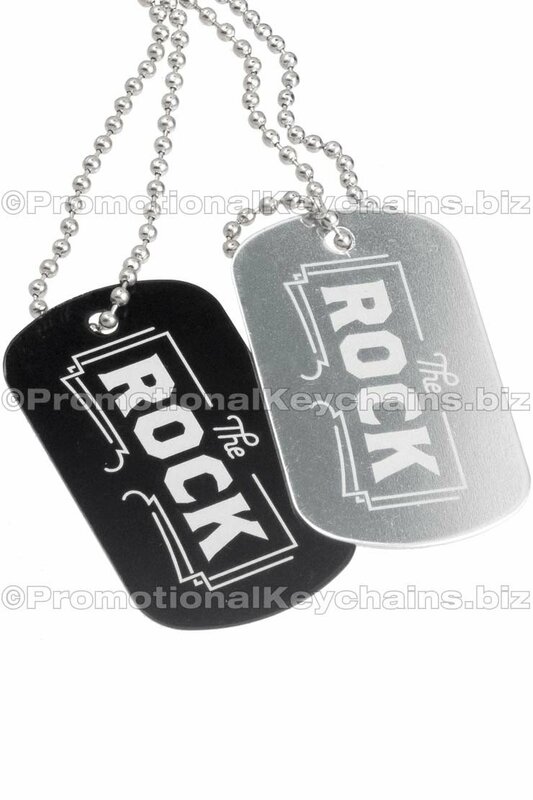 Silver tags have a more subtle tone-on-tone shimmering effect that is very cool. 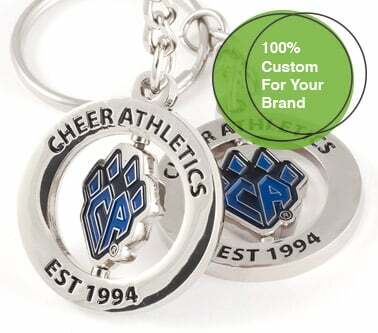 Choose to have them shipped with chains, or rings. 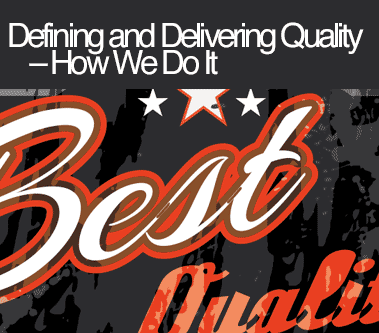 And we make them for you fast, in just 3 days, so you don't have to wait long for them to arrive!